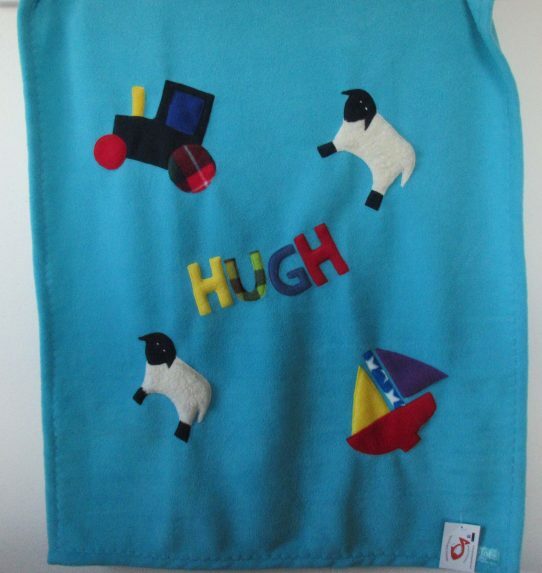 ‘The best Baby Shower Gift Idea, has just got better! 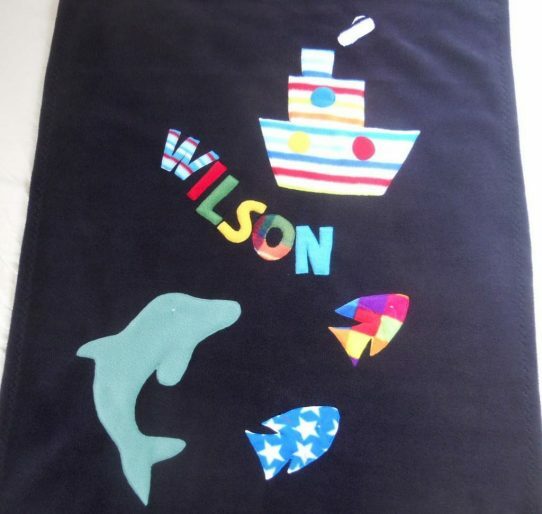 You can now personalize and customize our Fleece Baby Blanket. 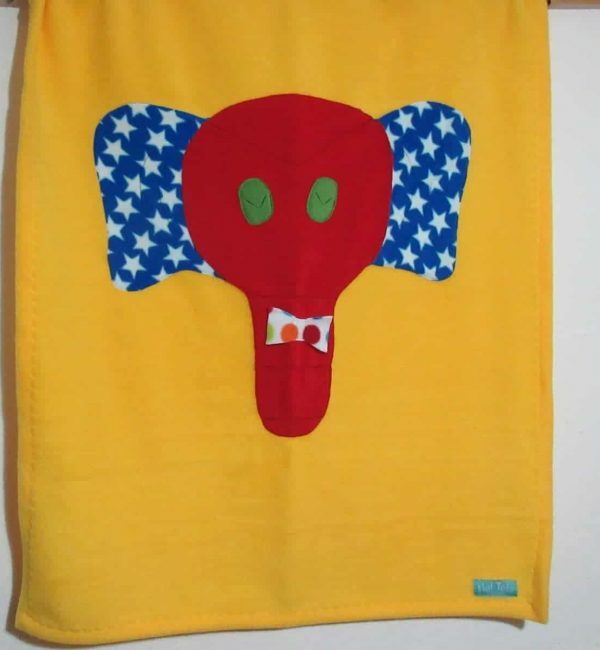 Give a very special Baby Gift. 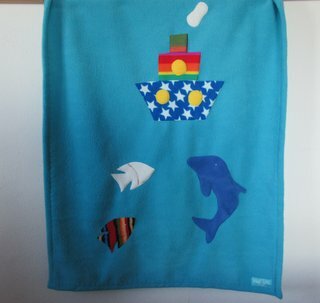 Here are our Blanket sizes. 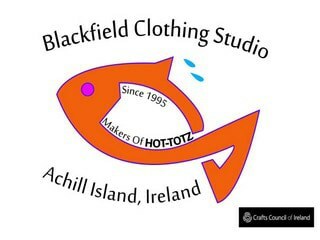 All sizes are approx, as the width of the fabric varies. 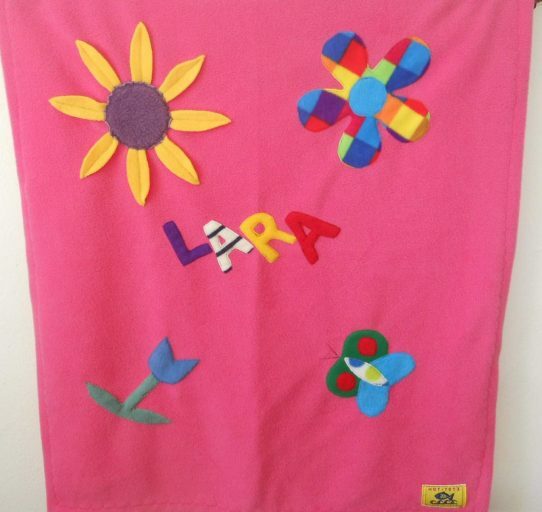 We are happy to announce that we are now able to offer you a custom baby blanket with name, made from our soft high quality Polyester Fleece! You can now not only personalize your Hot-Totz Fleece Baby Blanket, no, you can also choose the motifs. We are happy to sew your special combination of motifs, and letting you be the Designer. Give a very special Newborn Present. Please pick a Colour and then message me your chosen Motifs from the list below. 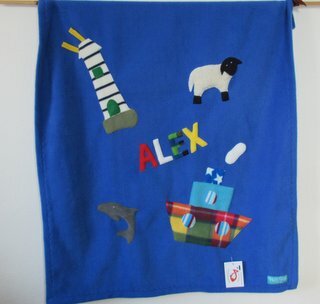 Per Personalized/unique Baby Blanket you can pick 4 small Motifs plus Name. The colour combinations of the Motifs are unique, different in every time. 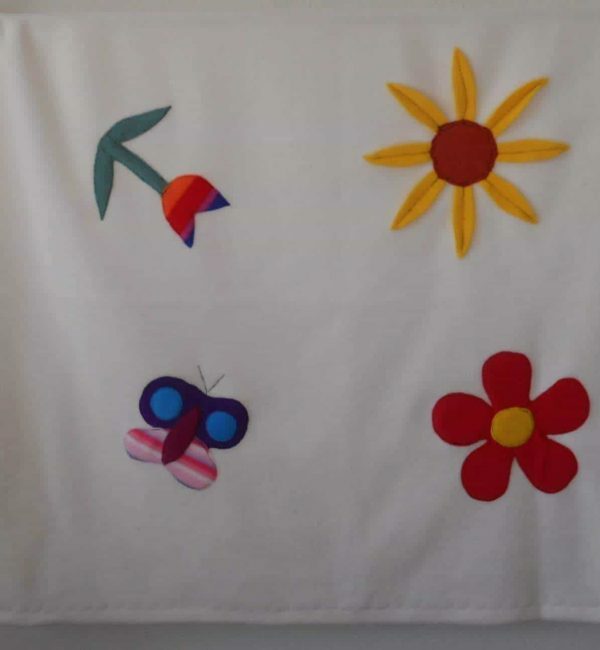 Here is the list : Sail Boat, Small Boat, Sheep White, Sheep Brown, Tractor, Sunflower, Daisy, Tulip, Butterfly, Dolphin, Lighthouse, small Fish. Add a personal Touch to a truly special Baby Gift, make someone smile. 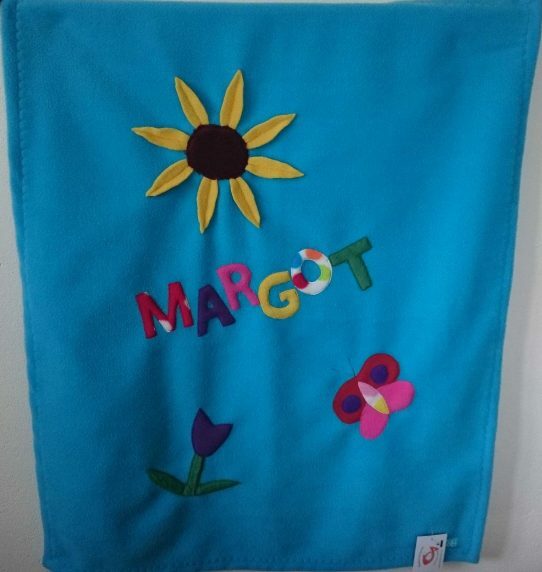 I have just collected the beautiful Margot fleece you made from the office. They will be thrilled with it. It’s going to London. Thanks a million, as always! 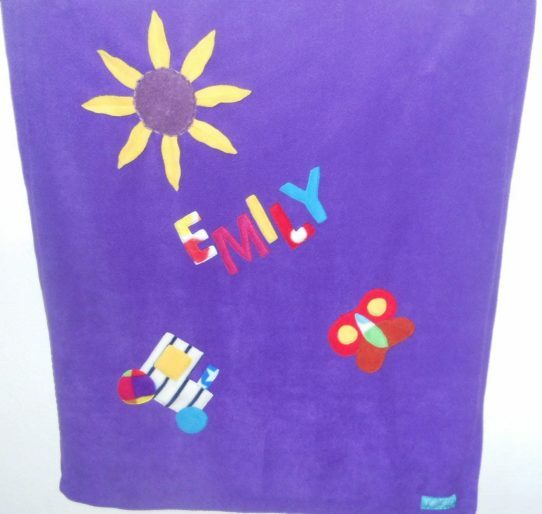 Thanks a million for the beautiful fleece blanket you made for Alannah. Her family loves it. The blanket was dropped off today. Thank you. Its beautiful.